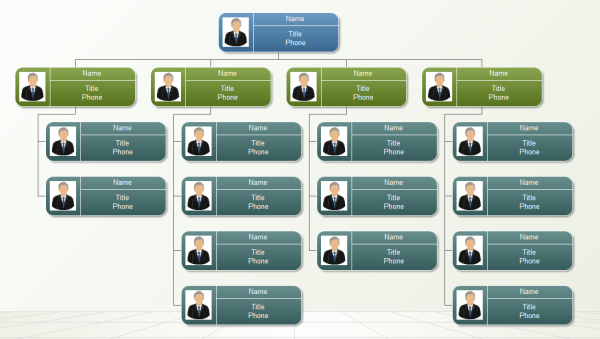 Hierarchy Diagram Drawing Software - Easy to draw commonly used hierarchy diagrams. Hierarchy diagrams show hierarchical relationships progressing from top to bottom. 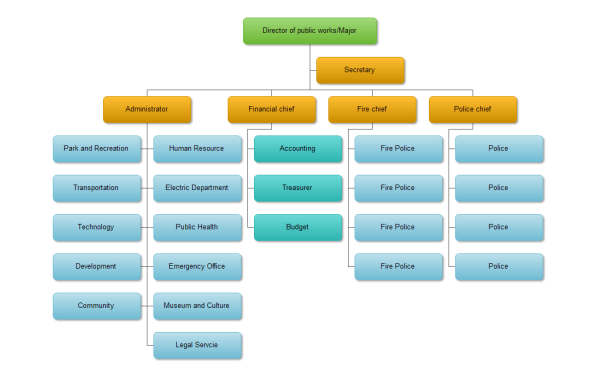 Hierarchy diagrams are often used to represent the business and corporate structure. Usually the hierarchy diagram starts with a top node (the owner, CEO, etc.) and then continue with a tree until reaching the lower levels within an organization. The picture below vividly and clearly show the business and corporate structure. The picture below vividly and clearly show the structure of public works city director. Used to show hierarchical relationships progressing across groups. Can also be used to group or list information. Used for showing hierarchical relationships progressing horizontally. Works well for decision trees. for showing hierarchical relationships progressing horizontally and grouped hierarchically. 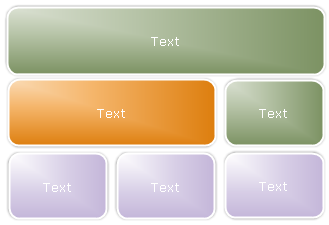 It emphasizes heading or level 1 text. The first line of Level 1 text appears in the shape at the beginning of the hierarchy, and the second and all subsequent lines of Level 1 text appear at the top of the tall rectangles. It is designed to show hierarchical relationships progressing from top to bottom and grouped hierarchically. It emphasizes heading or level 1 text. The first line of Level 1 text appears in the shape at the beginning of the hierarchy, and all subsequent lines of Level 1 text appear to the left of the tall rectangles. This type of charts are used to show hierarchical information or report relationships in an organization. 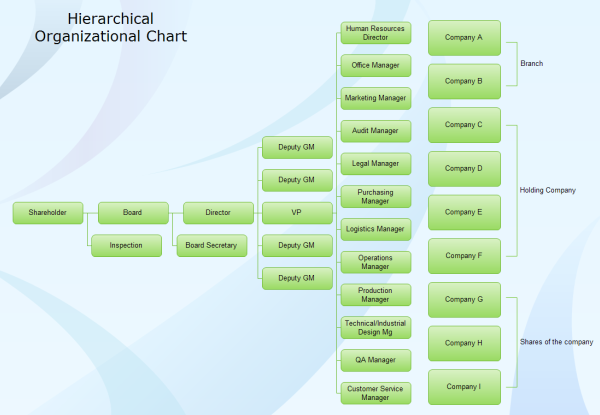 The assistant shape and the Org Chart hanging layouts are available with this layout. Aims at showing groups of information built from top to bottom, and the hierarchies within each group. This layout does not contain connecting lines.